I'm looking forward to taking Doris to the Bucks County Show. That said, my wife and daughter have decided not to drive there with me in case Doris breaks down. They will travel separately in comfort in our Freelander. Oh they of little faith, but to that end, I took her out for a burn-up today to check she sounded all right; and she does. I also decided to check the speedo against a sat nav. Sadly, I realised all those times that I've got her up to 100mph she is, in fact, doing about 65 mph. Hey ho, it feels like 100 and she rattles my teeth, so probably best not to try out the real 100 mph with her. She is 62 years old after all. 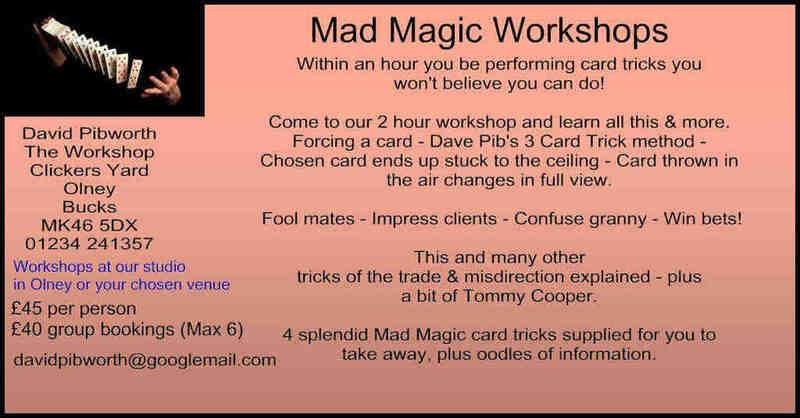 I'll be at the Bucks County Show with an array of magic tricks to keep people amused. You can find me and Doris on Michael Graham's Estate Agents stand, and they are always generous with their drinks and food. So although it's coming to the end of the summer, Doris is still available for a few gigs and it's amazing how much interest there is in her. Which is why she's hired to go along to events and get people onto the stands.